Zwivel recently met up with former Vanderpump Rules star Lala Kent and her close friend, fashion model Ellie Mumin in Hollywood. The duo were among the celebs, medical doctors, and philanthropists gathered at a fundraiser held by the GEANCO Foundation to raise awareness of the non-profit’s medical and educational missions in Africa. We took the opportunity to ask Kent and Mumin about their plastic surgery experiences and plans for the upcoming year. Kent, who is outspoken on social media about the work she’s had done, certainly isn’t afraid of needles or phased by outside criticism. 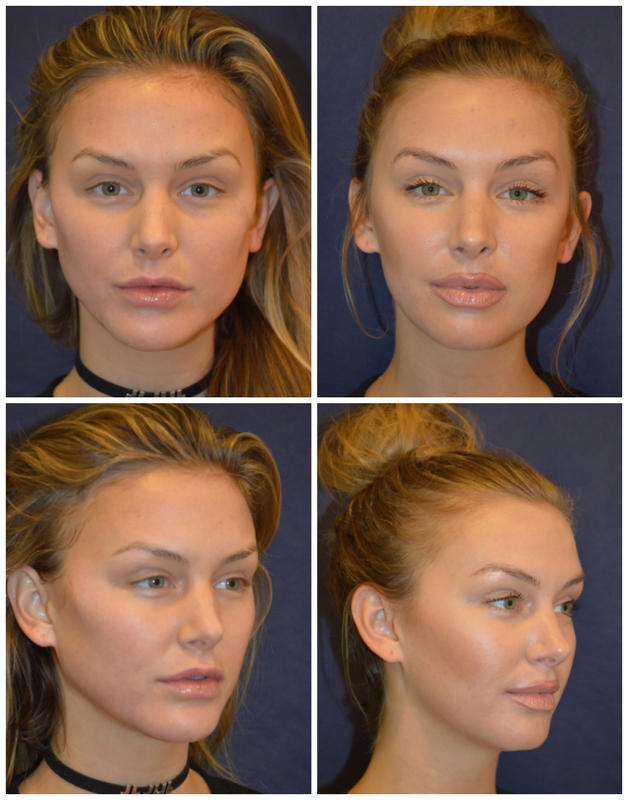 In August, Kent underwent a nonsurgical procedure to broaden her jawline and give it more definition. 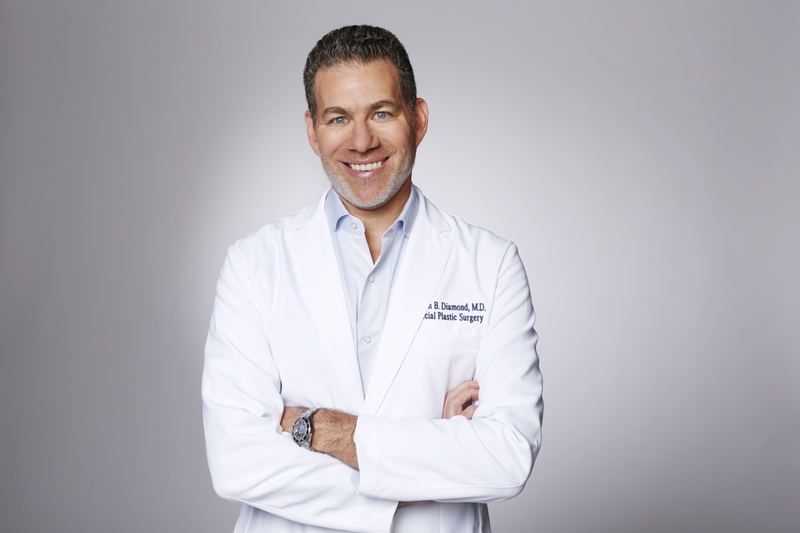 Beverly Hills plastic surgeon Dr. Jason B. Diamond treated her with his signature facial sculpting treatment, coupled with a non-surgical lip contouring. She also had a collagen mask to reduce any redness post-treatment. The veteran surgeon frequently combines facial sculpting with the injection of plasma proteins taken from the patient’s own blood. This therapy helps promote collagen production, speeding up recovery and giving the skin a youthful glow. Kent loved her experience with Diamond, so much so she took a picture for Instagram while the doctor was working on her with this caption: “Thanks to this amazing Doc right here, I now have a chin and jawline and no longer have to overline the shhhh out of my lips. There was no cutting, only needles! I was nervous for the first two because I’ve never done them before. Dr. Diamond is incredible and super conservative with his technique. I’m obsessed. After pics to come!” She also posted a video to YouTube explaining the work she had done. Kent is less happy about the results of her breast surgery, which was performed by a doctor she refuses to name. Though Vanderpump Rules star Lala Kent will remain an outspoken advocate for many plastic surgery procedures — and certainly won’t be skipping her appointments for Botox for her forehead and fillers for her jaw any time soon — she’s decided that it’s time to cut back on one procedure in particular: the one that gave her those plump, pouty lips. It’s not because she’s had a negative experience with it in the past — on the contrary, her surgeon never failed to deliver the desired results — but because she thinks she might have gone a little overboard with cosmetic surgery in general. In an interview with Bravo’s The LookBook last March, Kent revealed that she “wants to stop with the lips,” while admitting to be done with fillers in her cheeks as well. “Enough is enough,” she said. Kent went on to state that plastic surgery has always helped her look and feel her best, particularly with the features she wants most to enhance. She also told Bravo that she felt her natural jaw was the result of “horrible genetics” and that she’d definitely continue to seek cosmetic help in that department. The refreshingly frank star concluded that she still appreciates the inherent value of plastic surgery; it’s just that now she has an equally refreshing perspective on where to draw the line.